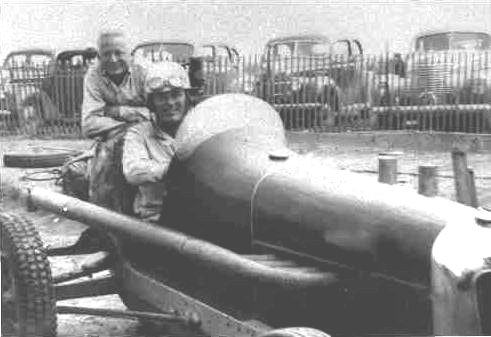 Bob Vorbeck at right with Lloyd Fisher and his Fisher D.O. Dreyer at Belleville, KS. 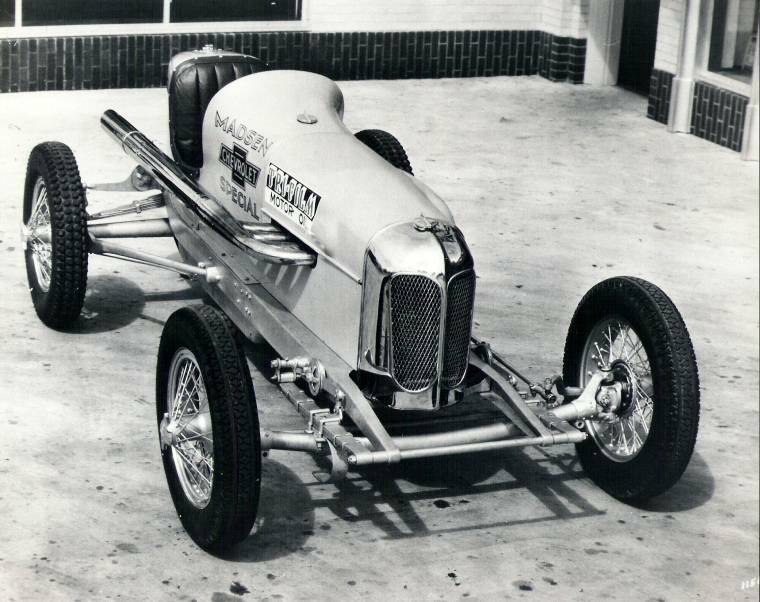 Murray Earl putchased this car from Fisher in 1946 and it thus became known as the Earl D.O. Dreyer. 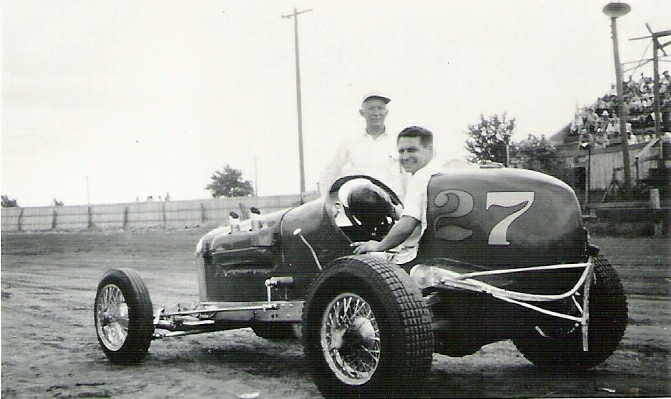 Murray Earl with driver Harry West in Earl’s D.O. Dreyer at Belleville, KS, 1946. Stan Dean, left with Murray Earl and Earl’s D.O. 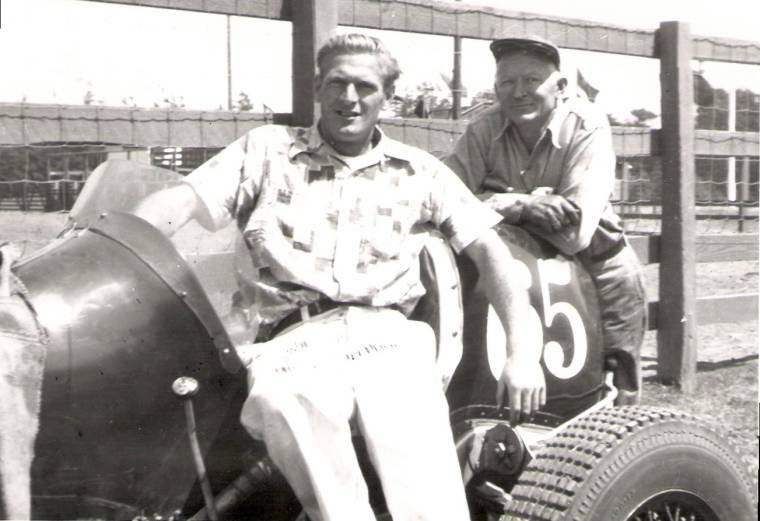 Dreyer at Eureka, CA during the period that the car carried the #65 in 1951. Dean was 4th fastest in time trials day, won the fast car heat race and was running 2nd in the feature when the crankshaft broke. Murray Earl washing his D.O. Dreyer in front of Les Ward’s home in Concordia, KS. Ward is looking on at right. The two were good friends and Earl had hauled the Dreyer from California to participate in an UMCA race that Ward promote at Concordia on June 8, 1952. Roy Eaton in the former Earl D.O. Dreyer in 1969. 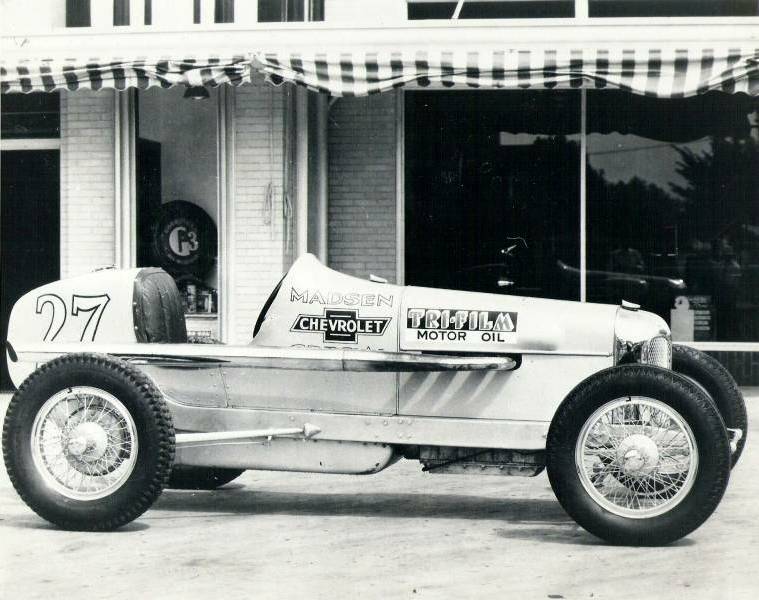 By that time, the car was owned by Weldon Bryant Mansfield (1917-1979). Madsen D.O. 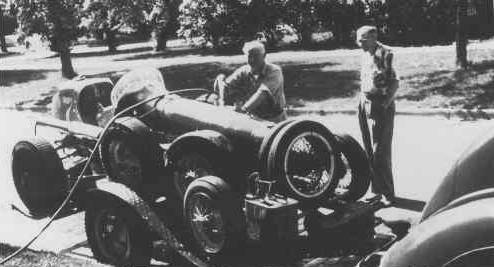 Dreyer being loaded up for it’s first race in 1934. Win Fenstermaker was the driver that that day. Frank Sands in the Sands D.O. Dreyer in the mid-1930s. Sands had painted the car white with red numbers. Clyde “Tiny” Gilbert of Longmont, CO is shown here in the Fisher D.O. Dreyer at Hutchinson, KS in September, 1937. 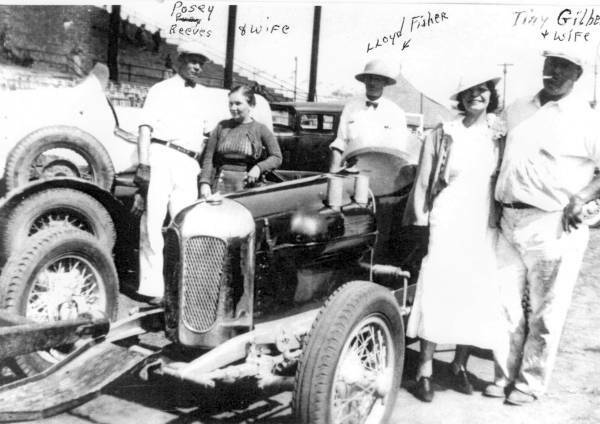 Lloyd Fisher was a car dealer from Denver, CO.
Bob Vorbeck preparing to drive the Fisher D.O. Dreyer in 1939. Harry West in the Earl D.O. Dreyer at the Kansas State Fair, 1946. 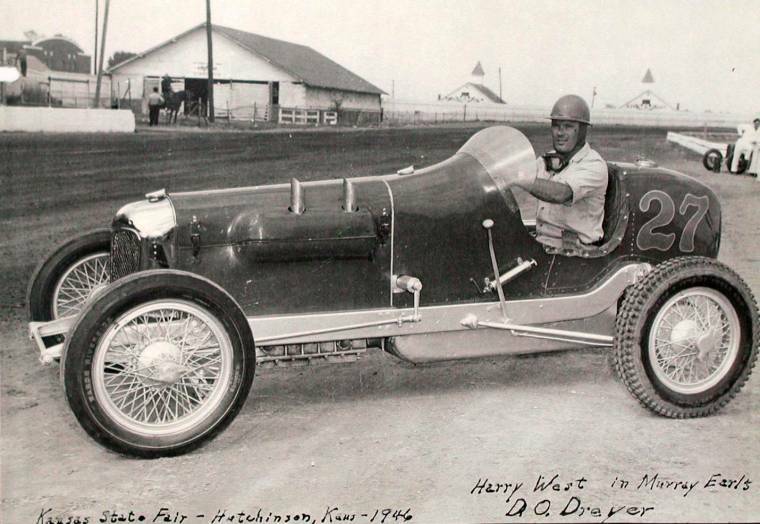 “Wild Bill” Anderson in the Earl D.O. Dreyer at the Kansas State Fair in September, 1947. This was during the short period that the car was painted yellow. That is Murray Earl third from right dressed in dark clothing. 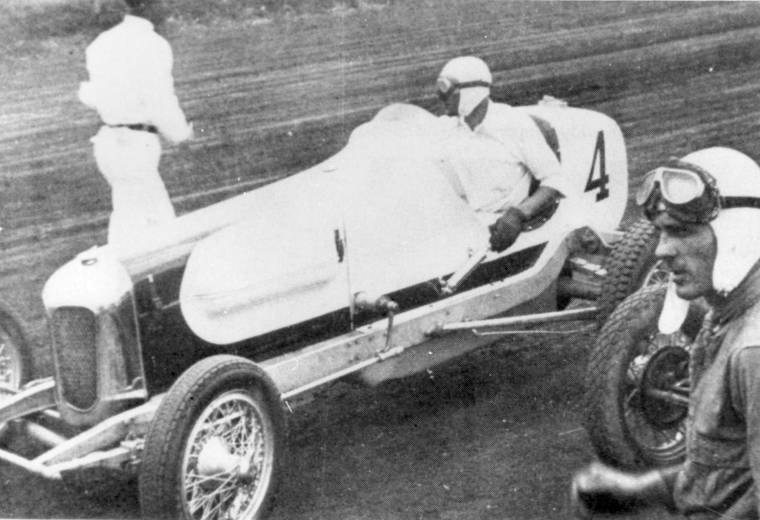 Smoking a pipe at the rear of the car is Leonard Kerbs. Murray Earl looking over his D.O. Dreyer with at Belleville, KS. Murray Earl is shown here standing beside Charlie Lutkie in Earl’s D.O. 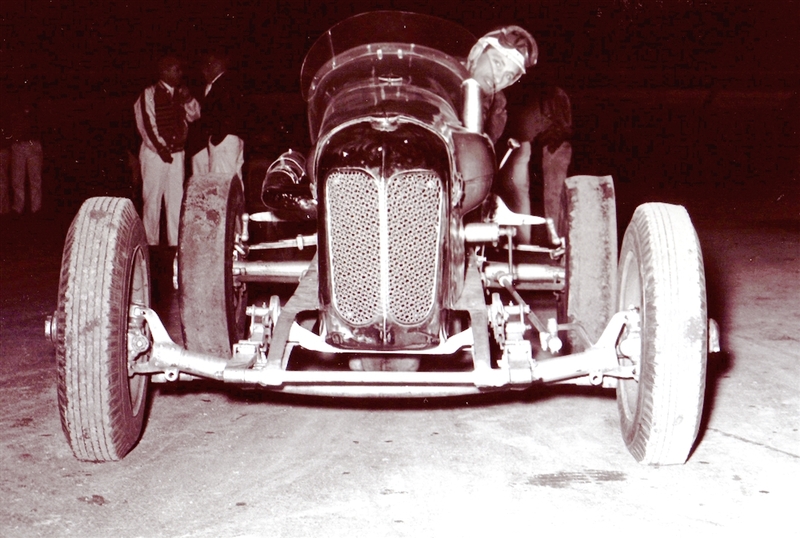 Dreyer at and UMCA race at Concordia, KS on June 8, 1952. This was Lutkie’s first ever big car ride. He set quick time in time trials and won the 2nd heat race but had to sit out the rest of the program due to a loose engine rod. Murray Earl cleaning his D.O. Dreyer with its “skin” off. The car was powered by an 206 cu. in. Model B based Dreyer engine with two Winfield carburetors. This photo of Jack Earle was taken at the last race for the Earl D.O. 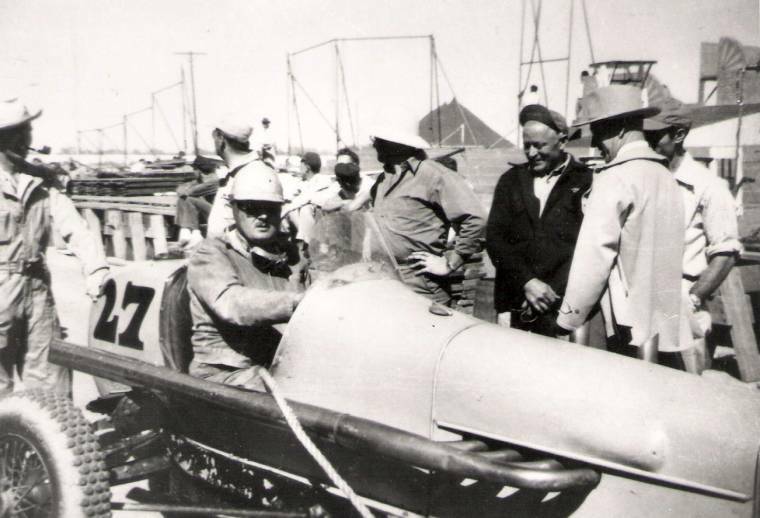 Dreyer at Alviso, CA in 1957. A 4:88 rear end run in 2nd gear proved to be just right for that racetrack. The mag wheels on the front and the alcohol burning Stromberg carburetors were removed before the car was sold sometime in the 1960s. 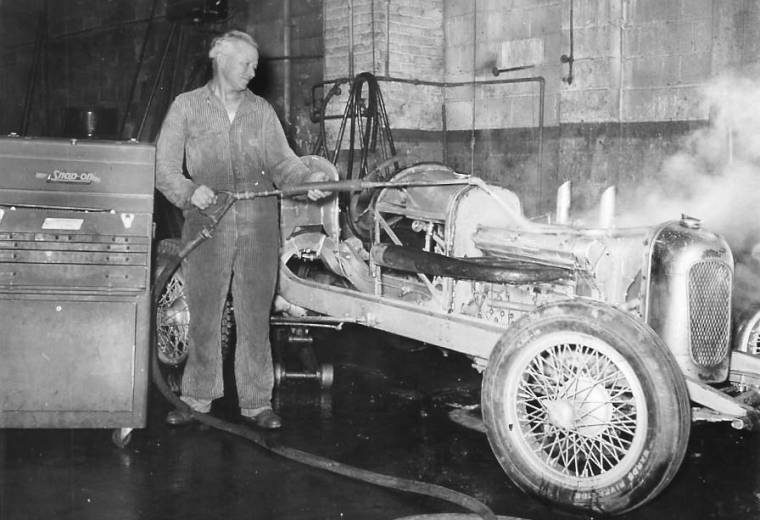 The car was bought new (for $4,200) from Floyd Dreyer in early 1934 by a Mr. (Merrill) Madsen who had a Chevrolet dealership in Minneapolis, Minnesota. 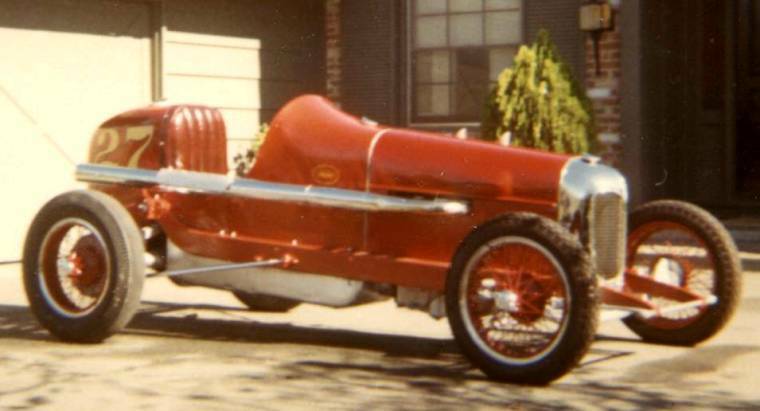 The car was painted robins egg blue and was numbered 27 because the Madsens were married in 1927. I have several beautiful photos of the car when it was at the dealership and of the day they were loading it up on the back of a Chevy pickup to run it for the first time. 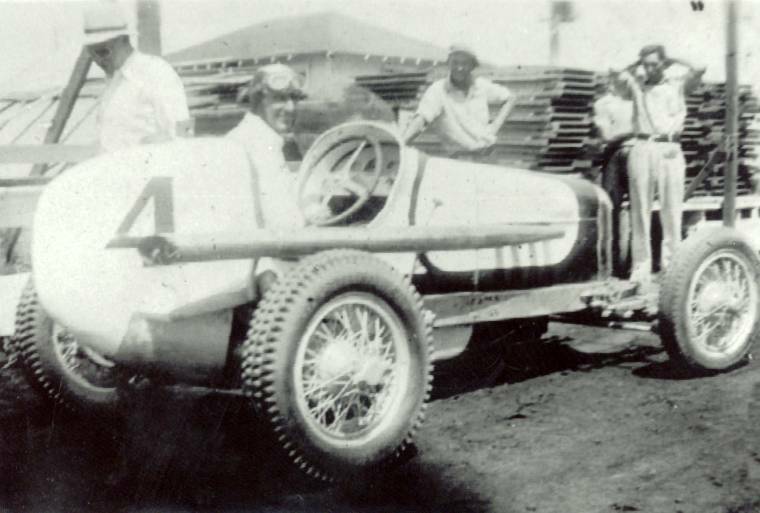 As far as I know, the first time it sat on a racetrack was August, 1934 at Des Moines, Iowa with a driver named Win Fenstermaker. I never heard of him before or after that point in time. For reasons unknown to me, the Madsens did not keep the car long. They sold the car to a fellow by the name of Frank Sands. Frank was out of Orr, Minnesota. He was considered to be a real nice guy (and) a joker. He was a happy-go-lucky fellow and a fair driver. He changed the car’s coloring to red and white and the number to 4. He apparently just got going with the car (when) the Madsens reposed it for lack of payment. Someone at the racetrack one day shortly after the car had been reposed, asked Frank, “Where’s your Dreyer?” He casually said, “They just came and took it.” Frank later became the Chief of Police of Orr. After this, the car was sold to Lloyd Fisher of Longmont, Colorado. He painted the car maroon and had gold trim. He put back the #27. As far as I know, Fisher only had two drivers in the years he had the car. There was Clyde Gilbert, sometimes known as “Tiny” or “Cowboy” and Bob Vorbeck. Later, Vorbeck became an airline pilot. Both of these men are out of the Denver area. 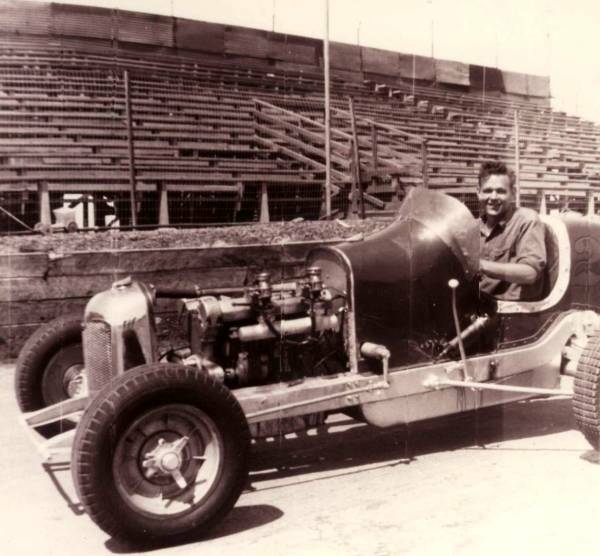 In 1946, Murray Earl sold his garage business in San Jose, California and bought the D.O. Dreyer from Fisher. 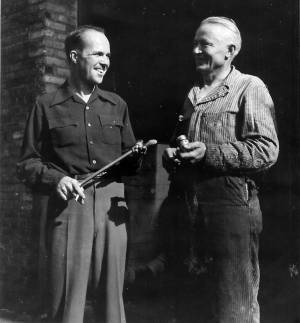 Murray and Fisher were old friends and ran against each other from the early 1930s. Murray was really proud of the Dreyer. It was a happy moment for him to own that car and, together, they went racing. He had two drivers that year as far as I can tell. (One was) his old friend from pre-war days, Harry West from Joplin, Missouri who did a real good job. He was a careful, smart, sharp chauffeur. At times also in the same year, there was Gregg Tiederman. He was a little cigar smoking character out of Tulsa, Oklahoma. He drove the car and did a hell of a good job. 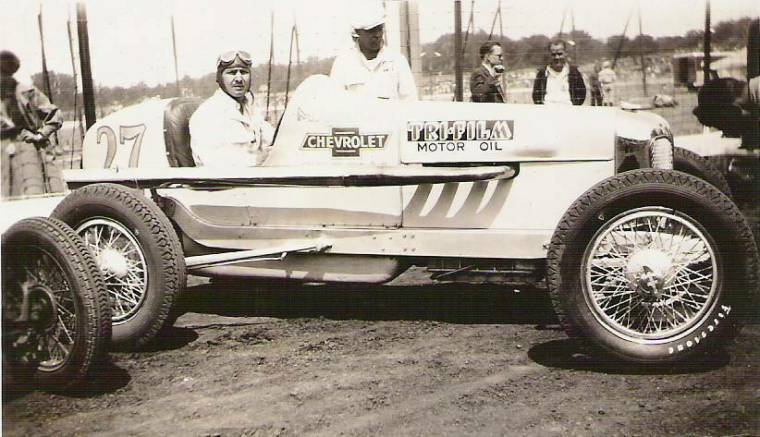 In fact, with Tiederman in the car, he out ran Bud Rose at Des Moines in a heat race. I guess it was rather funny. Bud was trying to figure out where Tiederman was. He was looking over his shoulder. He was looking one way and Tiederman got him the other way. Probably one of the car’s outstanding moments as Bud was hard to beat. 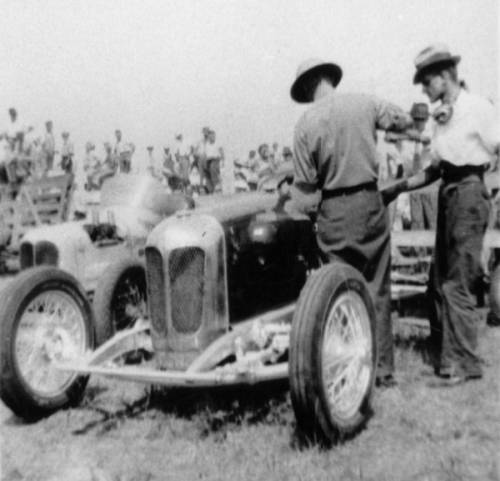 At Belleville, Kansas that same year, the car ran second two days in a row. They always ran two days at Belleville. They ran second to Mike Salay in the Franklin stagger valve and made $640 for each day. Later that same year, they took the car down to Phoenix and did real well against all of those big Offys. 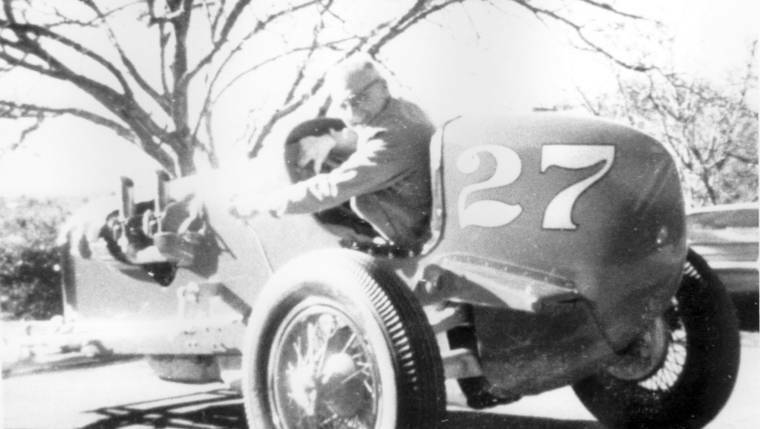 Bill Scheffler, one of the hotshots of the era, said that the Dreyer was the first Ford he ever heard that sounded like an Offy. Dreyers were noted for good sounding exhaust. Murray had said many times in his life that the Dreyer had never been upside down and no one had been seriously hurt in it but many years later, probably the 1970s, I was at Wally Schock’s home in Santa Rosa, California looking through his scrapbooks. There were three pictures of the Dreyer upside down and “Tiny” Gilbert was pinned under the car. Wally took his HAL back there, his first trip east by the way, and they tangled in the first turn and Clyde went over. Wally got out of his car and was trying to help him out and Gilbert was yelling at him to get the car off of him. He helped him to the ambulance. He was not seriously injured. Murray never knew that the car had been upside down because it was owned by Fisher and it was 1939. This happened in Denver. Gilbert was a great big guy. He was also rough, tough, and sassy. 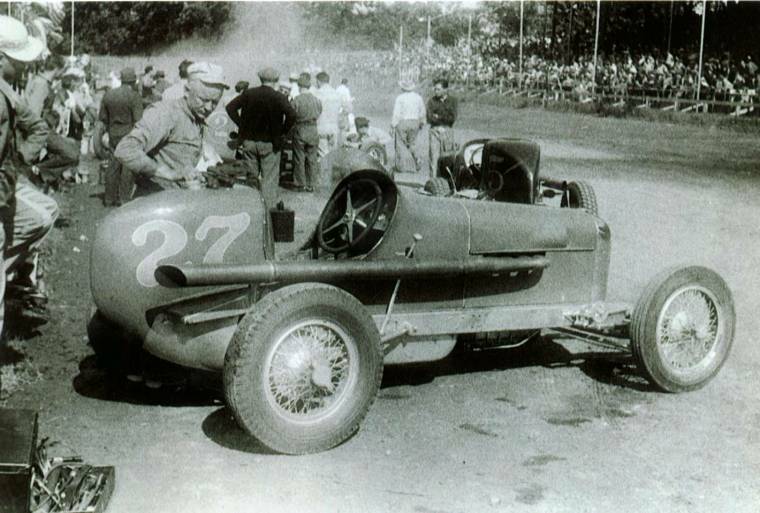 In 1947, for some reason, Murray painted the Dreyer yellow and kept the #27 on it. 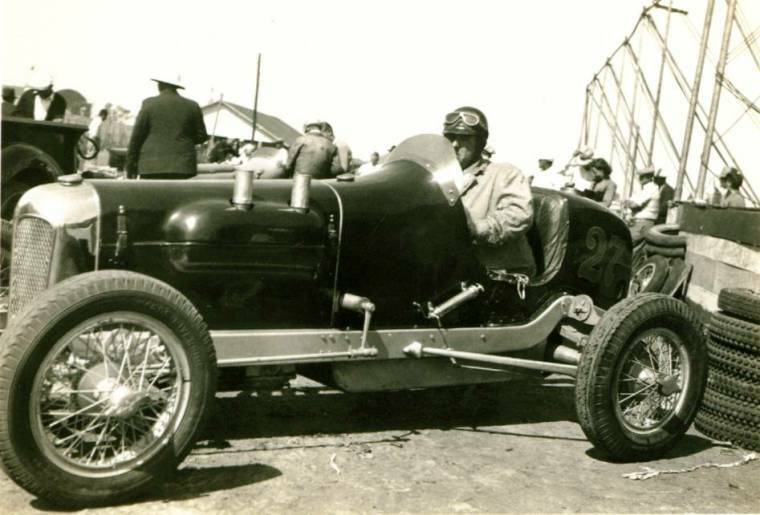 He took in the fair circuit with “Wild Bill” Anderson from Long Beach, California driving for him. “Wild Bill” was another big man. He was probably bigger than “Tiny” Gilbert. Interesting how those big men could fit into the car so well. 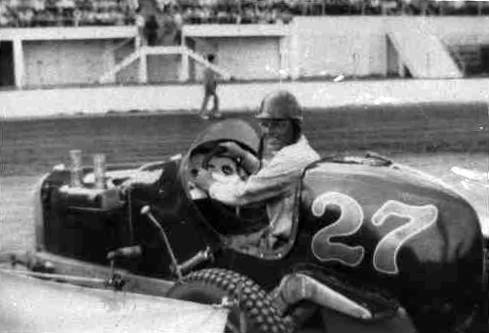 “Wild Bill” was a pretty pushy, aggressive driver and I think he would have amounted to something someday but he got into the old Gus Schrader Offy in 1950 at Mitchell, Indiana and was killed. When Murray Earl wasn’t back East, he towed up and down the West Coast. 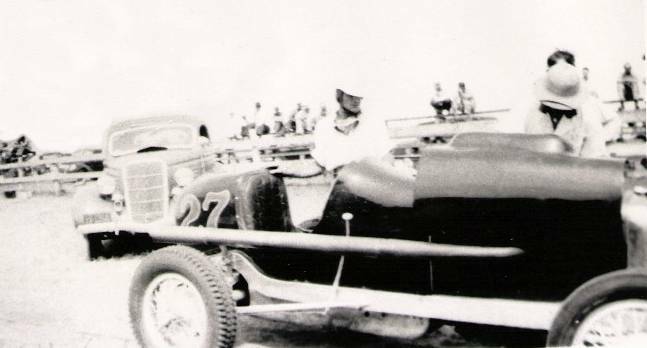 Buck Whitmer drove one year at Chico in a dust storm and finished fourth. Billy Ryan drove the car many times and did a good job. In its late last years, Clyde Palmer always did a good in the car. Occasionally at that period of time, the car was #65 because there was a conflict with some other car. One of their old steadies was #27 and #65 was O.K. with Murray for awhile. Getting into the 1950s, Murray’s health was not what it should have been. The Dreyer was getting tired however he still took it out and had some good times with it. Stan Dean did a great job at Eureka one day in 1951. The car was running excellent. Stan had one hell of a hangover. He said he wouldn’t mind getting killed, he felt so lousy. He did an outstanding job. In the main event, he was running second, was moving in for the kill, any moment I thought he was going to get by for the lead and suddenly here he came down low on the pole (with) the hood hanging off. The crankshaft broke. That was probably the biggest problem with a B-Block engine. If you asked all the horses to come on out, the engine couldn’t stand it. A stock crank would not live long. The car’s last trip East was in 1952. Murray took the car to help out L. A. Ward’s show in Concordia, Kansas. He had a guy named Charlie Lutkie, who was quite a character, driving for him. Lutkie was a cop on the Wichita police force, also a professional wrestler, and good race driver. He did an outstanding job but once again the engine blew after setting fast time (and winning a heat race). Murray brought the car back home and put it back together but it never seriously ran after that. After Murray died in 1954, I ran the car a few places and had some fun with it but it was a relic by then. The big V-8s were taking over. Sometime in the 1960s, I sold the car to Weldon Mansfield of Sacramento, California. Wonderful fellow. He did a nice job of cleaning up the car. He did not exactly restore it but gave it a nice paint job. He treasured the car. (He) never did start it (and) never ran it. (It) sure was a conversation piece for him. He had an Ascot Miller as well and a 1935 Jag SS that he liked to drive around. That was his real joy in life. His wife thought he was foolish playing with those old cars. He was a pretty wealthy man in the construction business and, after he died (in 1979), she sold the car to the highest bidder. I don’t recall now who it was, someone out of Oxnard, California who paid her $10,000 for the car. The car from Mr. Madsen all the way to Mr. Mansfield stayed 100% intact. It was not cannibalized or Mickey Moused. It was the same all through those years. It would be interesting to know what it looks like today. 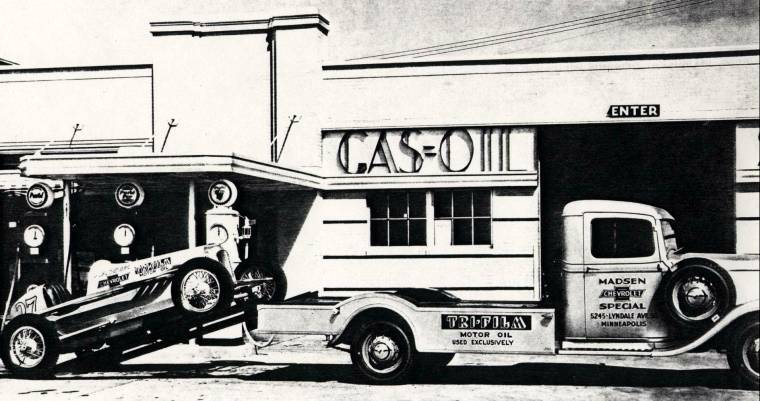 The Dreyer had a real nice trailer that came with it. One of the old styles where the car had to go up over the trailer wheels because they did not allow you to be wider than the car. The runners were made of Model T running boards which was nice. The wheels were Daytons. The trailer was a nice match for the old car. Webmaster’s note: After the death of Murry Earl, his widow and son, Jack, changed the spelling of their surname from “Earl” to “Earle”.